I was a little uncertain about how to begin my letter to you. What’s there to say about cancer that hasn’t already been said? What’s something funny that you can say about cancer? You can’t. So I decided that I’d just write from my heart and share my own experiences. One thing I’ve learned is, you don’t fully grasp what a tragic and painful disease this is until you see it up close and it begins to hurt your loved ones. My “Mr. Fix It” personality couldn’t comprehend this disease when it affected my own father Lewis, who was stricken with kidney cancer in 2010. During the next five years, my father fought valiantly and battled this disease with as much courage as I have ever seen. My mother Joanne, his partner and best friend for over 40 years, was right there by his side, helping him fight and push through every step of the way. But ultimately and heartbreakingly, this was a battle that could not be won. My father, like so many others, was dealt a bad hand. Cancer does not discriminate. And we have lost too many of our loved ones to this disease. But grief does not mean acceptance. We should all be doing everything in our power to help advance the cause of finding a cure, so that someday we won’t need to write fundraising letters like this one anymore. just standing up to cancer, but that we are going to destroy it. To achieve such a miracle, it makes sense that so much research takes place in the birthplace of miracles, Israel. As if Israel doesn’t have enough on its plate, why not solve cancer too! But as you and I know, there’s something special about Israel, a nation that has turned a desert into a beautiful oasis. This entrepreneurial, innovative spirit has extended into the medical field as well. Since its inception in 1975, ICRF has provided over $68 million to fund more than 2,400 projects at research facilities throughout Israel. The progress these Israeli scientists are making is important and groundbreaking. ICRF does not fund construction of buildings or support administrative costs. Rather, funding goes directly towards research — allowing scientists to focus on the hard work of tackling cancer. Every day, ICRF scientists are getting closer to finding a cure. Their tireless work has yielded two Nobel Prizes, as well as several drugs which nearly wipe out the disease for certain types of cancers. I hope you will be as generous as possible to help us further the research that is unlocking cures. I thank you in advance, and send warmest wishes to you and your family for a Happy and Healthy New Year. 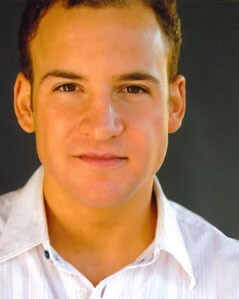 Ben Savage began his acting career the age of five. His first major role was in the TV series Dear John, opposite Judd Hirsch in 1988, followed by his film debut in Little Monsters. He starred in several made-for- TV movies and miniseries, and in 1992, was cast in the lead role as Cory Matthews in the iconic series Boy Meets World. After the show wrapped, Ben enrolled in and graduated with honors from Stanford University with a degree in Political Science. He went on to guest star in many TV programs including Chuck, Without a Trace, and Bones. In 2014, he reprised his role as Cory Matthews on the Disney Channel show Girl Meets World, where he also served as producer and director. Ben is currently focused on creating and developing TV programs. Among his philanthropic efforts, Ben serves on the Board of Directors of the LA chapter of Israel Cancer Research Fund.